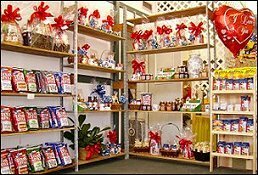 Flowers Texas Style/Heavenly Cakes & Flowers is a local Conroe, Texas florist proudly serving the area for over 25 years and offering fresh flowers, plants, and gift ideas to suit any style and budget. We hope you enjoy your online shopping experience with convenient 24-hour ordering available. If you prefer, call us to place orders direct at (936) 756-5000. It is our pleasure to assist you with local and worldwide deliveries and corporate accounts are also welcome. For your convenience, we offer daily delivery to local Conroe Texas funeral homes and hospitals. We offer a large selection of Wholesale pack flowers at Wholesale prices. These flowers are offered locally to retail flower shops, schools, churches, restaurants, country clubs, or anyone who has the knowledge and ability to handle flowers in wholesale quantities. These flowers - imported from around the world - are available for pick up only. Call us for more details. GIFT IDEAS FOR ANY AGE OR OCCASION! 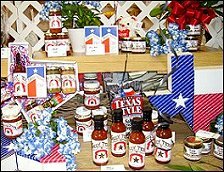 We feature an array of unique gift baskets, Texas gifts, green plants and more! 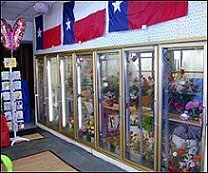 At a time when families are in most need, Flowers Texas Style/Heavenly Cakes & Flowers has developed a program to assist the family with the cost of Funeral Flowers. Call for more information. Conroe Texas City Motto: To protect & serve the citizens of Conroe & exceed their expectations. Flowers Texas Style/Heavenly Cakes & Flowers is proud to be a florist in Conroe Texas. Believing in the city motto is the reason our flower shop in Conroe treats everyone like a millionaire. With beauty and elegance, Flowers Texas Style/Heavenly Cakes & Flowers florists provide flower arrangements that exceed our customers' expectations. THANK YOU FOR VISITING OUR WEBSITE FOR FLOWERS DELIVERED FRESH FROM A LOCAL CONROE, TX FLORIST, FLOWERS TEXAS STYLE/HEAVENLY CAKES & FLOWERS.